HUD Wants to Nullify Local Zoning Ordinances. WASHINGTON – Senator Mike Lee announced his plans to offer an amendment that would block funding for a regulation that allows the Department of Housing and Urban Development (HUD) to dictate local zoning requirements in any community across the country. Senator Lee plans to offer his amendment to the Senate Transportation, Housing and Urban Development Appropriations Act should it be brought to the floor this week. If funded, the “Affirmatively Furthering Fair Housing” rule would empower federal officials to assert the authority to force any community that receives a Community Development Block Grant to comply with zoning plans written in Washington. This rule effectively allows HUD to carve up the country, block by block, according to its own priorities and preferences. Community Development Block Grants are allocations of federal tax dollars, issued to local governments by HUD, to address a variety of community development needs. One of the primary uses of these resources is to provide affordable public housing for individuals and families in need. Sadly, the inevitable consequence of federal management over how local officials spend this money will only make it harder for communities to provide adequate low-cost housing for their neighbors in need. To protect the ability of local officials to serve low-income communities, Senator Lee’s amendment would prevent this egregious power grab by the federal government and would keep housing decisions closest to the people who are affected by them. Rep. Paul Gosar is the original sponsor of a similar amendment in the House, which was successfully added to H.R. 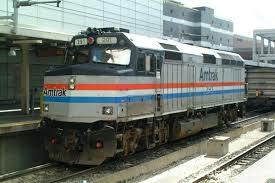 4745, the Transportation, Housing and Urban Development Appropriations Act for Fiscal Year 2015. Will Working Families Survive Obama’s Brave New World? 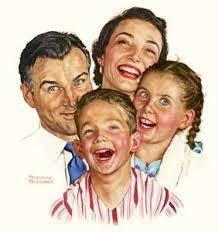 The American Working Family — on the Endangered List? WASHINGTON – Tusday, Senator Mike Lee filed three amendments to a Senate bill being considered this week that would extend the time people have to collect unemployment insurance beyond six months. The amendments continue Senator Lee’s push to enact solutions to problems in the Obama economy by focusing on job creation, accessibility of higher education and training, and improving work-life balance. The first amendment is modeled after Sen. Lee’s Transportation Empowerment Act (S. 1702) and would significantly reduce the administrative and regulatory burdens the federal government places on states’ use of transportation funding. Under this proposal, states could respond more quickly to the needs of citizens, start and finish projects sooner, and spend less money to complete them – all while creating and maintaining good jobs. The second amendment is built on Sen. Lee’s Higher Education Reform and Opportunity Act (S. 1904), legislation that would open up new educational opportunities for many low-income and non-traditional students. The bill allows states to set up a new and parallel system for accrediting educational institutions, curricula, apprenticeships, programs, and even individual courses, which are then available to receive federal student loan money. The third amendment is based on Sen. Lee’s Working Family Flexibility Act (S. 1623), which allows private-sector employees the same choice between comp time and overtime pay currently enjoyed by government employees. Currently, federal law unfairly discriminates against these employees by prohibiting the use of comp time, forcing them to sacrifice family time for the family budget. WASHINGTON – Today, Senator Mike Lee introduced a bill to address the deep problems in the federal government’s welfare programs that make it more difficult for low-income Americans to work their way into the middle class and stay there. The “Welfare Reform and Upward Mobility Act” would get existing federal welfare programs under control and would help the working poor transition from poverty to opportunity and security. The bill has been cosponsored by Senators Cruz, Vitter, and Inhofe. 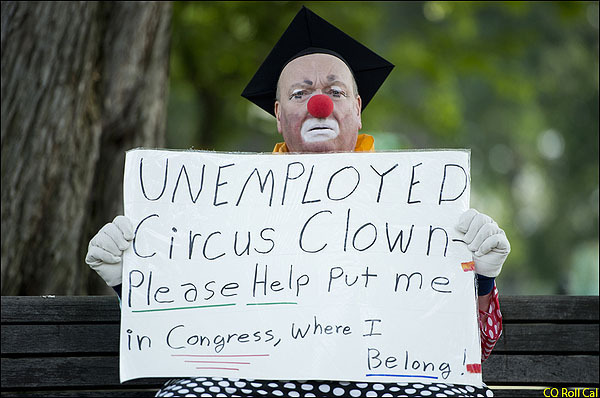 Representative Jim Jordan is planning to introduce a companion version in the House. The bill has been endorsed by the National Taxpayers Union, Heritage Action for America, the Association of Mature American Citizens, and the Concerned Women for America. 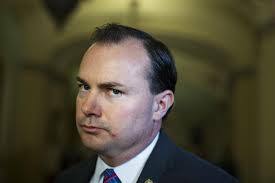 Senator Mike Lee Says Religious Intolerance Rampant in the U.S. Military. “Reports of religious intolerance, ranging from harassment like Handman experienced, to the removal of a menorah and nativity scenes from a California Air Force Base in December 2011, are part of what motivated Sen. Mike Lee, R-Utah, to write legislation to protect the religious freedom of those serving in the military…. “As a member of the Armed Services Committee, Lee says he became informed about conflicts over religious freedom in the military, and he became determined to do something about it. Michael Handman had been at basic training in Georgia for less than a month when he sent a letter home to his parents with a frightening message. Handman, who was 20 at the time, said he was being persecuted because he is Jewish. Reports of religious intolerance, ranging from harassment like Handman experienced, to the removal of a menorah and nativity scenes from a California Air Force Base in December 2011, are part of what motivated Sen. Mike Lee, R-Utah, to write legislation to protect the religious freedom of those serving in the military. The National Defense Authorization Act, signed into law Dec. 26, 2013, by President Obama, calls on the U.S. military to accommodate “individual expressions of belief,” a step further than the previous version of the act, which was interpreted by some to stop short of allowing soldiers to speak freely about his or her faith without recrimination. The new act aims to require the Department of Defense to ensure soldiers more religious freedom in word and deed, but as conflicts over faith in the military rise, and a long-abiding history of conflict when subordinates complain about their supervisors for unjust treatment persists, experts say only time will tell if the legislation will make an impact. For Handman, the new NDAA law comes too late. Five years ago, the private was called derogatory names because of his faith, ordered to remove his yarmulke and rebuked for reading Jewish canon. Then, a few days after his letter home, on Sept. 24, 2008, Handman was lured into a laundry room and beaten to the point of unconsciousness, an Associated Press story says. Handman was later transferred to another unit for his own protection, and the soldier who attacked him was discharged, but some say the conditions of the incident — a ritualistic military culture that favors Evangelical Christianity — never changed, and similar discrimination continues today. In 2012, another Jewish soldier was harassed on the job. Since he joined the U.S. Army as an active duty soldier in 1989, he’s experienced some level of discrimination, he says, speaking on condition of anonymity for fear of retribution, but in the last 18 months, the treatment has become intolerable. As a member of the Armed Services Committee, Lee says he became informed about conflicts over religious freedom in the military, and he became determined to do something about it. In 2013, the Armed Services Committee attempted to address the issue by adding language to the NDAA that called for the military to “accommodate the beliefs” of its soldiers. But the language stopped short of including actions and speech associated with belief, Lee said, so resulting changes were stunted. For example, the Family Research Council, a conservative nonprofit Christian lobbyist organization, points to a 2012 memo from Air Force Gen. Norton Schwartz that commands leaders to “avoid the actual or apparent use of their position to promote their personal religious beliefs” as evidence of curtailing religious speech among military commanders. “Rather than erring on the side of restraining religious speech, we need to encourage our military to live in accordance to their faith,” said Leanna Baumer, senior legislative assistant for government affairs with the Family Research Council. As part of legislation, the Department of Defense has 90 days from the day the law was passed to issue regulations on how the law should be applied. The Department of Defense issued its first directive on Jan. 22, which declares that sincerely held beliefs (religious or nonreligious) cannot be used as the basis of adverse personnel action or discrimination. The regulations also make accommodations for grooming and appearance. 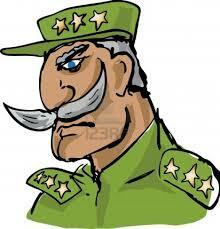 For example, soldiers might get permission to grow a beard or wear a yarmulke because of a religious belief. The regulations are a step in the right direction, Baumer said, but only time will tell if the regulations go further, or if the new law is enforced. The anonymous Jewish soldier wrestling with discrimination doesn’t take much comfort in the Department of Defense’s regulations. When the soldier was at his lowest point of discouragement, he contacted Mikey Weinstein, founder of the Military Religious Freedom Foundation. Weinstein, former legal counsel in the White House under Ronald Reagan, a registered Republican and retired Air Force officer, replied to the soldier’s email within 20 minutes. Weinstein is a controversial advocate for religious freedom for members of the armed forces. His organization has been nominated for a Nobel Peace Prize six times, but groups like the Family Research Council refer to Weinstein as anti-Christian. When Weinstein’s foundation became involved, a nativity scene was removed from the Guantanamo Bay Naval Station this Christmas, a painting with a Bible verse was removed from an Air Force Base in Idaho and the anonymous soldier’s superiors were fired. Weinstein blames religious intolerance in the military on a “Christian Taliban” of “fundamentalist Christians” run amok. Weinstein advocates that commanders not place Bibles on their desktops because it might intimidate their subordinates. But while coercion and bullying are not the solution to greater religious freedom, neither is wiping away all traces of religion from the military, said Daniel Blomberg, legal counsel for the Becket Fund for Religious Liberty. WASHINGTON – In a speech on the Senate floor, Senator Mike Lee blasted the Agriculture Act of 2014, also known as the Farm Bill, as a “Beltway marriage of convenience between welfare and corporate welfare,” and criticized the use of PILT payments, critical funding for Utah’s small, rural communities, as a political football. Lee argued the best way to help the small rural communities that depend on PILT payments is to make the program permanent, rather than forcing Congress to authorize it each year.